Patchwork Design 13PC Set Bath Shower Curtain And Hooks Description This is a first quality and beautiful bathroom set. The set includes a patchwork design of a geometric floral pattern on a natural background. 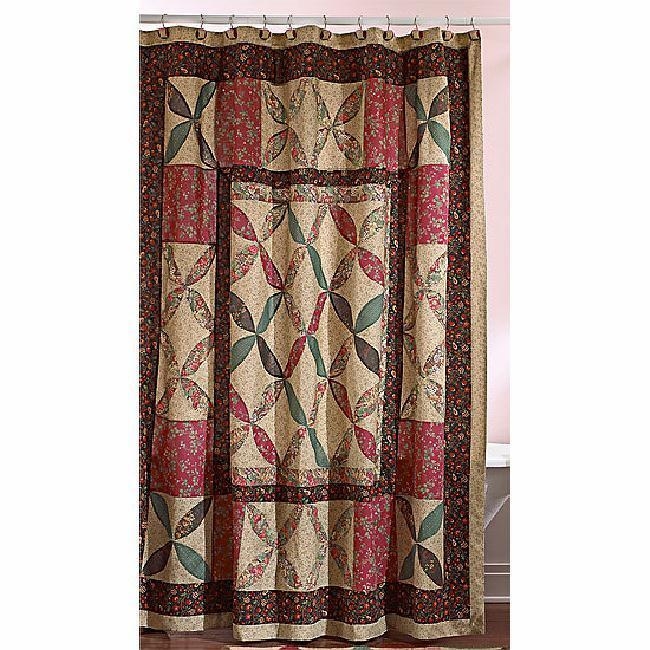 The Patchwork Shower Curtain (72" x 72") has the look of a quilt with a 100% cotton face and 100% polyester backing; liner not included. 12-Pc. Curtain Hooks are hand-painted to coordinate with the curtain; made of metal and cold cast ceramic. Great addition to your Bathroom. Brand NEW in the package and ready to ship. I have only three of this unique bathroom set in my inventory, so get yours today before it is sold out!!! Payment and Shipping I accept PayPal. Please DO NOT send personal checks. I ship within 24 hours after receiving payment using delivery confirmation. Please feel free to ask questions about sale prior to its ending. I know you will love my items and my service. If you are not satisfied for any reason, please let me know so that I may work with you to make you happy. Please visit my current sales at Bonanza and save on shipping with multiple orders. Thanks for your bid! Pay me securely with any major credit card through PayPal!